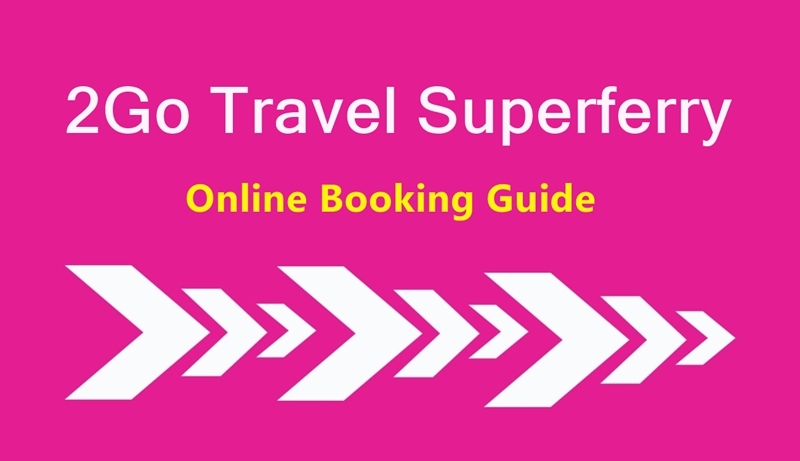 Most Superferry promo fares are only available online on the 2Go Travel website. 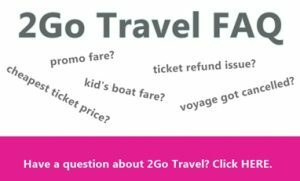 Seldom does it become available on the Superferry ticketing outlets, hence on this post, we will walk you through how to do Online Booking for 2Go so you can take advantage of any 2Go Travel promos 2017 that will be announced. 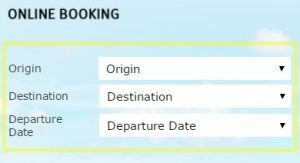 – After you select your Origin and Destination, the available 2Go ship departure dates for the route you chose will populate. 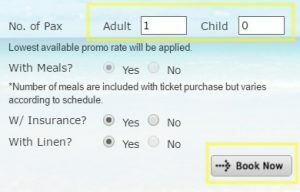 2) Choose a date and enter the number of passengers to include in your booking. – Adding Insurance is optional. Linen and Meals are automatically added. The number of meals may differ though depending on the route and schedule. 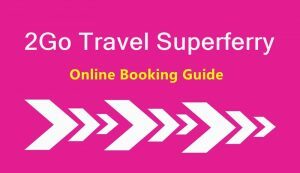 – Most 2Go Travel promo fare is for the Super Value Class and Mega Value Class type of accommodation. 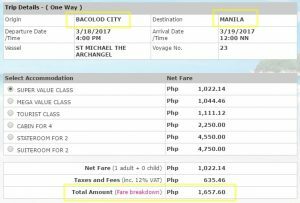 – On this sample, the total 2Go Travel ticket price Bacolod to Manila for March 18, 2017 is Ph 1657.60. To know the details of the additional taxes and fees on your 2Go ferry ticket – you can click on Fare Breakdown. 4) Click continue and fill out the Passenger Information on the next page. **Replace ‘NA’ under the OSCA ID column for a Senior Citizen ID Number if applicable. 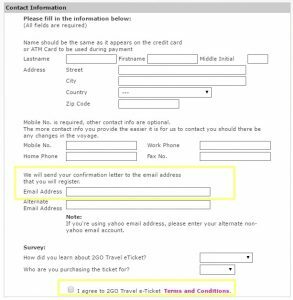 – The contact information should be of the owner of the ATM / Credit Card that will be used for the Superferry ticket payment. 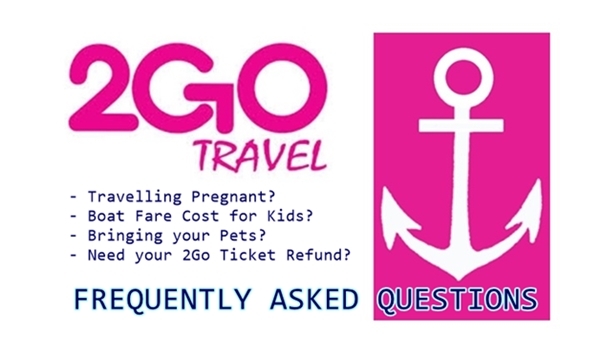 7) Print the 2Go Travel Superferry eTicket that will be sent to your email after you complete your booking and payment. We recommend doing the online booking so you can book your tickets right away once 2Go Travel promo fares like the 5 pesos 2Go Crazy sale are announced. These 2Go Travel promos usually have limited slots that has lower fare rates hence the sooner you book, the better. 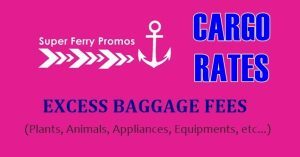 We will continue to update our readers with the latest 2Go ship schedules and 2Go Promos in 2017 hence LIKE and FOLLOW our FACEBOOK PAGE to make sure you are in the loop. 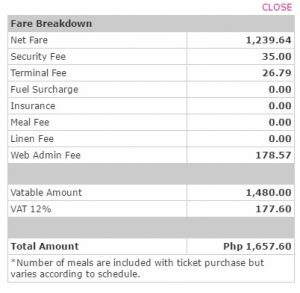 Travel date March 18 Sunday Manila- Cebu suite good for 2 how much? Miron po ba beyahing manila to nasipit?